This upgrade to the successful 440 tweaks safety and transom design features and adds yet more comfort belowdecks. 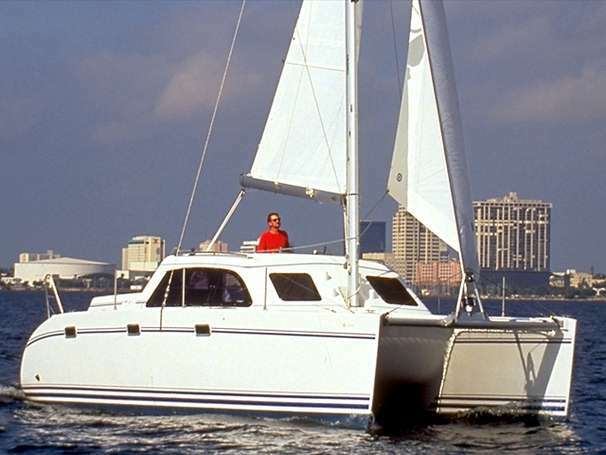 Lagoon catamarans have been on the water since 1984 – a full generation for humans and several generations in terms of yacht design, materials, construction techniques, and outfitting. 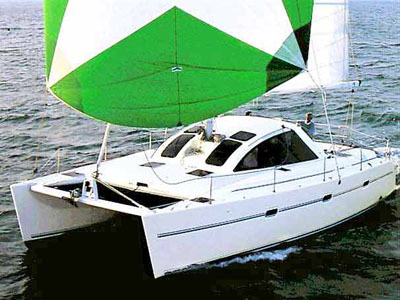 The design team of Marc Van Peteghem and Vincent Lauriot Prévost have long steered development for the Lagoon cats, continuously shaping, adapting, and adopting positive features in the line, so that these cruising multihulls, especially popular in charter fleets around the world, have been able to advance steadily both technically and in terms of purpose. 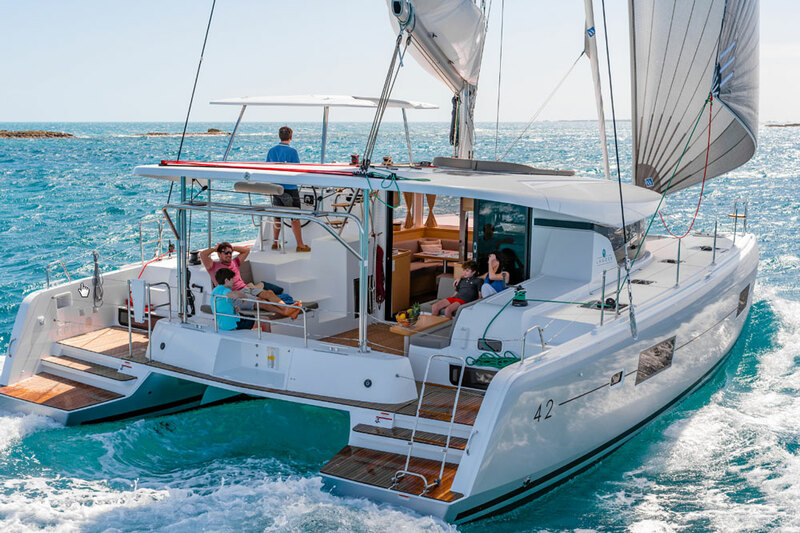 Fun on deck and luxury below continues with the Lagoon 450. 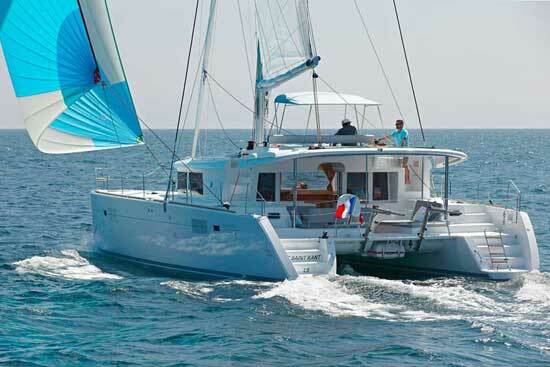 Two main focuses have always been evident in the Lagoon line: fun on deck and luxury below. 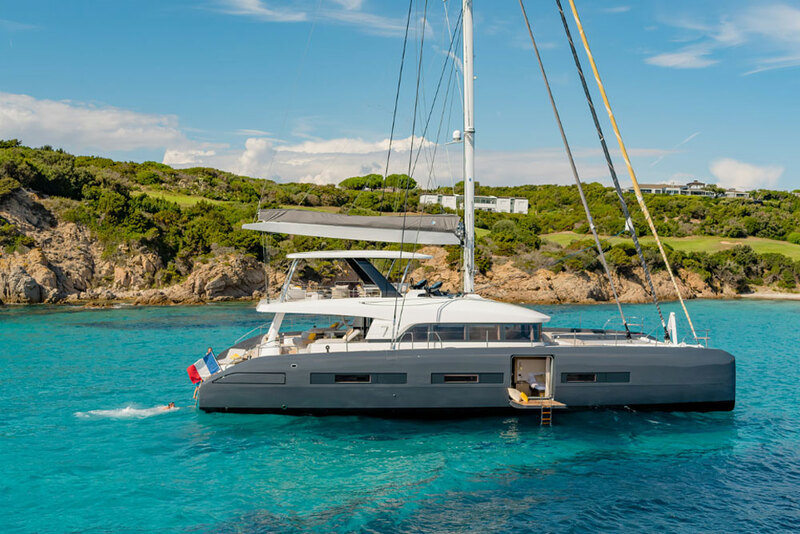 The Lagoon 450, just introduced, is a successor to the well-known 440 model, which has been in the charter trade for about seven years. That’s a lot of use for boats that work most days of the year with different charter crews cycling through. It was time for a fleet renewal, and the Lagoon designers used the chance to make some incremental changes. The 450 is only 14” longer overall, and 6” beamier than the 440, but any increased dimensions make a big difference in a boat this size. Attention was given to making accommodations even more comfortable. Pathways to the upper helm were made safer, with direct access from the aft cockpit. Transom platforms were redesigned. As a result, displacement has increased substantially from 26,791 lbs. to 34,178 lbs. To help offset this weight, working sail area has been boosted from 1248 sq. ft. to 1442 sq. ft. 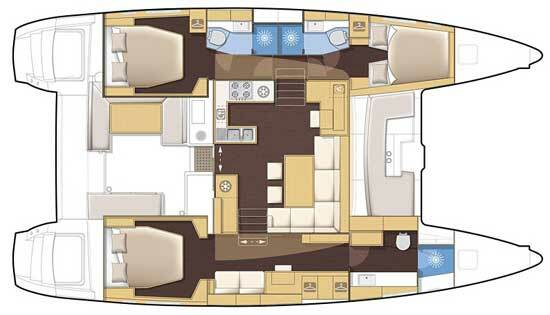 The main interior design changes in both three- and four-cabin layouts are rearrangements of the saloon and aft cockpit layouts, with some minor changes in the heads. Layouts of the saloon and aft cockpit have been rearranged, with minor changes in the heads. The best innovative design features of the 440 are repeated on the 450: Natural light floods the saloon through surrounding windows; portlights in the hullsides and hatches overhead illuminate the cabins and passageways. Light-colored woods and materials are used everywhere in an elegant but efficient modern style. On deck, steering and sail controls are located on a flybridge in the sun, high above a large aft cockpit and smaller cockpit forward. 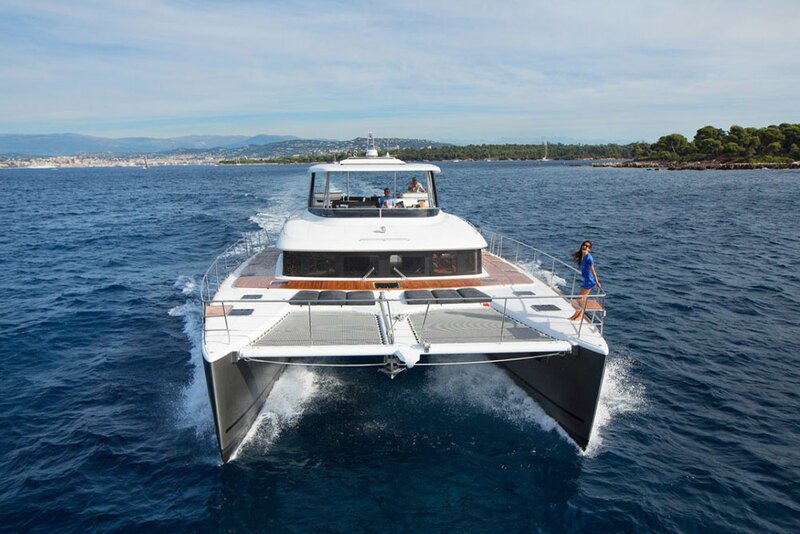 The main traveler is located on a hard bimini aft of the flybridge and over the aft cockpit. There’s also an inside helm station with joystick steering. While Lagoon cats are regularly cruised and delivered across oceans, the expanses of vertical windows and structural windage are a potential weak link in extreme storm weather. 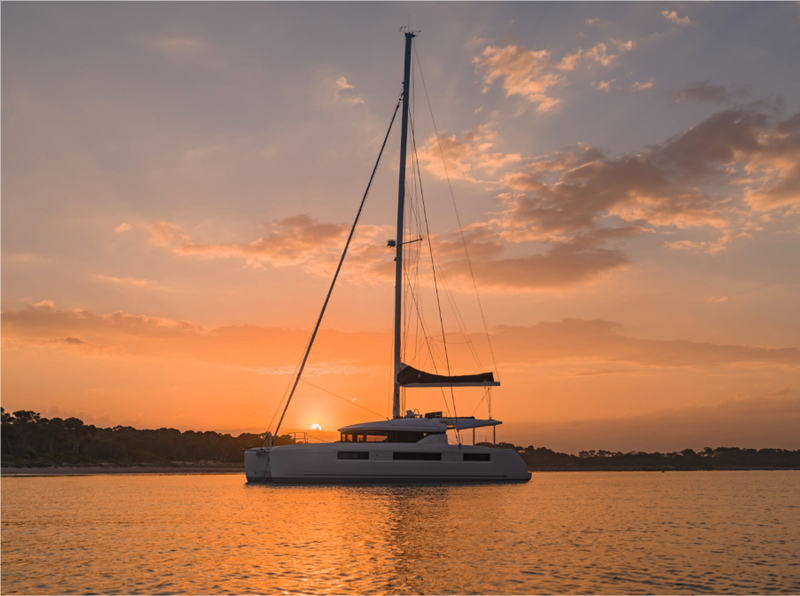 Lagoon designers and buyers understand the trade-offs, and the Lagoon formula of optimizing for near-shore comfort, fun water activities, and inter-island jaunts in brisk tradewinds has made it the No. 1 cruising cat brand in the world. 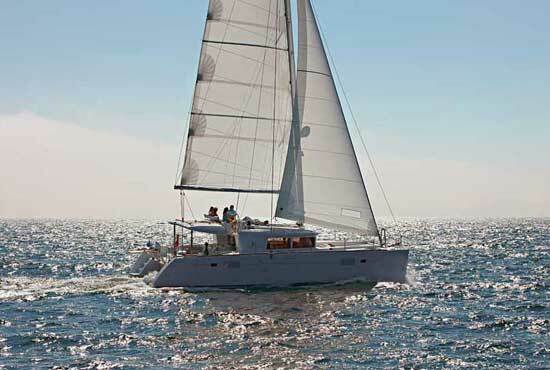 The Lagoon 450 is designed to maximize fun in the sun - perfect for a charter fleet. With either three- or four-cabin occupancy, the boat’s freshwater tankage is minimal at 96 gallons. Sailors accustomed to water conservation will go a lot longer between fill-ups than neophyte charterers. A watermaker would take up the slack, although watermakers are power-hungry, requiring more generator time or running under power. 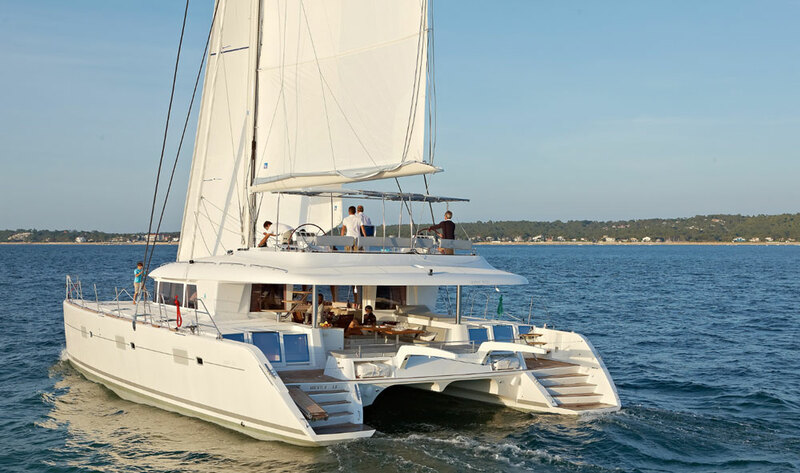 Anyone who has chartered a luxury catamaran knows that this kind of boat tends to be very consciously designed to maximize fun in the sun. The people at Lagoon have been at this game for a long time, and they’re good at it. Charterers who get a first crack at the new 450 will no doubt be in for a fine time, not to mention those lucky few with more than half a million dollars and the swinging room to own a 450 outright. For more information, visit the Lagoon website.